Plymouth University is in the running for a major national award, providing further endorsement for its enterprise agenda and its success in boosting the economy in the South West. The Cornwall Innovation programme, managed by Plymouth University on behalf of Cornwall Council, has created hundreds of jobs and attracted millions of pounds in investment since it opened its first innovation centre at Pool in 2010. Now it has been shortlisted in the Outstanding Contribution to the Local Community category of the 2014 Times Higher Education Awards. It is the latest accolade linked to the University’s enterprise agenda, which now also includes plans to expand the outreach of the innovation programme outside Cornwall. In 2013, its Formation Zone and Innovation Centres were independently ranked among the world’s best by UK Business Incubation (UKBI), while it has successfully bid for millions of pounds in Government funding, which – through the Growth, Acceleration and Investment Network (GAIN) – has been distributed to local businesses. 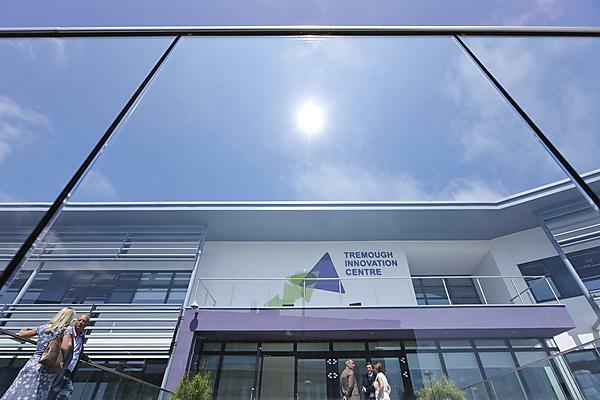 The Cornwall Innovation programme is centred around three hubs – the Pool Innovation Centre (PIC), the Tremough Innovation Centre (TIC) at Penryn, and the Health and Wellbeing Innovation Centre (HWIC), on the Cornwall NHS Hospitals Trust site in Truro – which were built with £45million of European funding. Together they are home to dozens of small firms and by providing relevant support and expertise, the three centres have enabled their clients to create a total of 216 jobs, safeguard a further 76 and grow revenues by more than £9.3million. The centres have also played a major social role in their local communities, hosting more than 3,200 events and 35,000 delegates, attracting major speakers and engaging students and children, particularly from local schools and enterprise networks such as Unlocking Potential. The Times Higher Education Awards aim to showcase the pioneering spirit, adaptability and quality across the HE sector, with hundreds of nominations across 18 different categories. The winners will be announced at a ceremony in London in November.